If you're wondering when is the next Aldi Baby & Toddler Event, then get your purse ready pronto, as the hugely popular Baby & Toddler Specialbuy event returns online from Sunday 15th April and in store from the Thursday 19th April! As always the event offers parents a huge range of beautifully crafted nursery furniture, every day essentials and adorable accessories at amazing low prices. 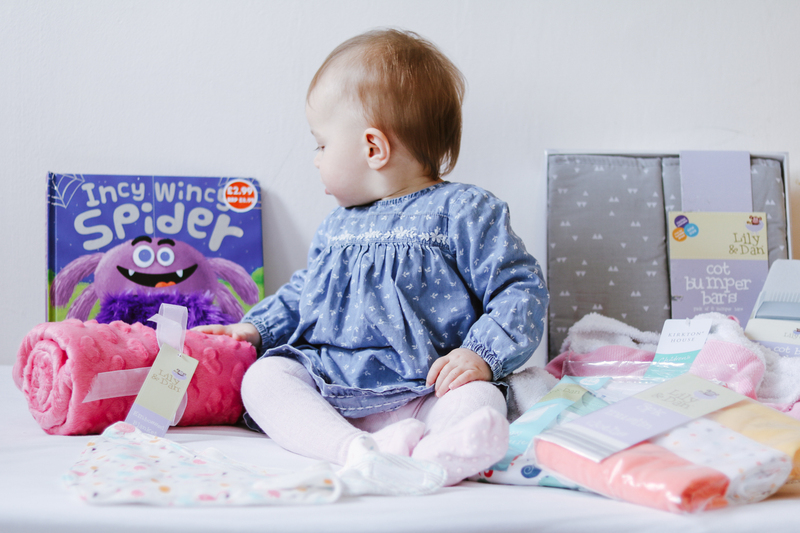 Aldi kindly sent a sneak peek of some of the goodies that will be available, and they also sent some vouchers so I'll be popping into my local store next week to stock up on new sleepsuits and a summer weight baby sleeping bag for Essie! This time the event features the luxurious Accent Rocking Chair (£149.99), which sold out in less than a minute when it was launched in Aldi Australia. You could also stock up on other household essentials, including the Baby Highchair (£19.99) and the Nursery 3 Drawer Tower (£12.99). Ensure your little one is nice and cosy with the Children’s Blanket with Sleeves (£7.99). Back by popular demand are the adorable Baby Sleepsuits (3 pack, £5.99) and the Baby Sleeping Bag 1.5 Tog (£8.99) – ideal for those crisp Spring evenings! Want to keep an eye on your little one? Pick up one of the Motorola Baby Video Monitors (£79.99) and you won’t miss a thing! Deck out your bathroom with the adorable Baby Bath Accessories (£6.99), and make sure your baby is entertained with Bath Toys (£3.99). After the bath, make sure your little one is warm and cosy with the Children’s Hooded Towel (£5.99). And that’s not all that’s on offer - there are fabulous prices on nappies, clothes, food and more! All offers are available while stocks last – as with all Specialbuys – when it’s gone, it’s gone! I love the baby clothing range; in bright colours and fun prints the soft cotton is perfect for Essie. 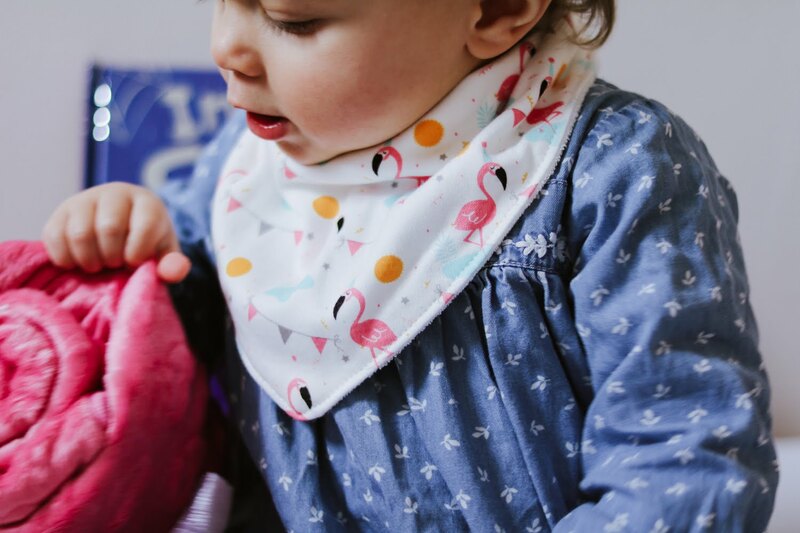 The dribble bibs are backed with terry towelling to absorb any drool and keep clothes dry. The soft cotton muslin cloths are a great size, and aren't the colours just wonderful? I use muslins to protect Essie's clothes when we eat out and they're also great as a light blanket when the weather gets warmer. The Incy Wincy Spider book has been a big hit with all of my children; Ian read it at bedtime last night and they all thought it was brilliant! Will you be heading to Aldi's Baby & Toddler Event next week? What's on your shopping list? With thanks to Aldi for sending us these goodies and vouchers.